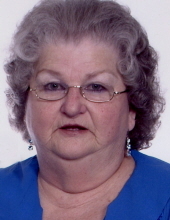 Jewel Neal, 77, went home to be with her Lord and Savior on Wednesday, April 10, 2019. A graveside service will be conducted Friday at 11 AM in Pinewood Memorial Park. Jewel was a native and lifelong resident of Greenville. She worked as a bail bondsman, being the first female bail bondsman in Greenville, NC. She was also a member of Calvary Baptist Church and she liked to knit. A loving mother, grandmother, and great grandmother, she will be greatly missed by all who knew her. Jewel was preceded in death by her parents, Floyd and Bobbie Nichols; husband, Talmadge (Rusty) Neal; sister, Alice Rae Beachem; and son, Timmy Hamilton. She is survived by; daughter, Tina Edwards; son, Richie Hamilton; seven grandchildren; four great grandchildren; and two longtime friends & caregivers, Sharon McGlaughin and Mike Wilson; brother, Donnie Simmons; longtime friend, Mary Savage; and her four-legged friend, Lucky Neal. The family will receive friends on Thursday evening from 6-8 PM at Wilkerson Funeral Home. To send flowers or a remembrance gift to the family of Jewel Nichols Neal, please visit our Tribute Store. "Email Address" would like to share the life celebration of Jewel Nichols Neal. Click on the "link" to go to share a favorite memory or leave a condolence message for the family.